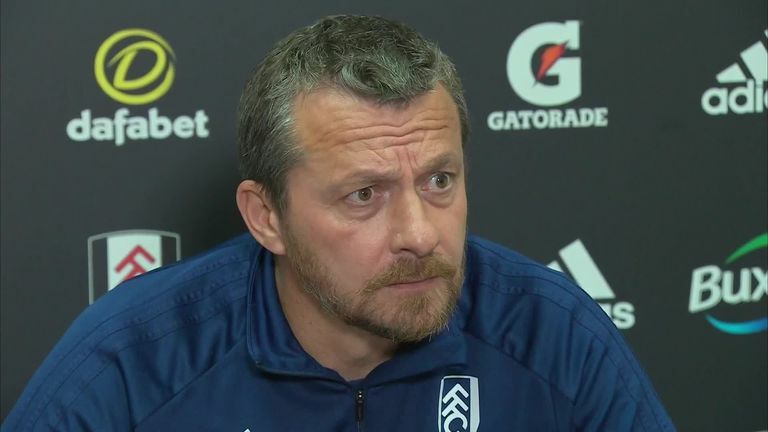 Fulham manager Slavisa Jokanovic refuses to be "scared" of Sunday's trip to Liverpool and insists his side will not be playing for a draw at Anfield. They are now two points adrift at the bottom of the table, while Liverpool could return to the top with a win this weekend, but Jokanovic says he won't adopt an overly-defensive strategy against the Reds. "I'm not a scared man. I'm not going to stay in our box and wait for 0-0; it sometimes happens, but it's many times you don't find any result," he said. "I don't believe we're the best team at defending in the box. We must be organised, we must have a plan, and we must try. "I know it's not easy playing against a really fast counter-attack like their three front players, but we must look for our chance, be brave, and show the mentality at the end, for fighting, for running with them, for challenging with them, and for a chance to win. "Without any doubt, I need more (from my players), the supporters need more, and the club needs more, and that's it. It's simple. They know they didn't offer enough, and we need to encourage them to push forward. "We need to be clever and find a balance about everything. We're not at our best level and must be more solid, more aggressive." Liverpool head into the match on the back of a shock 2-0 defeat to Red Star Belgrade and Jokanovic says his former club have provided the blueprint to beat Jurgen Klopp's men. "They show it's possible, they push from all the sides, from the stands, from the field, and complete a good game," he added. "It's a good example for the team."